I’m selling my gorgeous Enzoani McKinley wedding dress. I bought the dress brand new earlier this year, and wore it once for my wedding at the beginning of October. It’s a size 10, and the measurements are standard enzoani as I didn’t have any alterations done to the following: bust 37 inches, waist 29 inches and hips 40.5 inches. It’s a gorgeous dress and I had so many compliments on it on my wedding day. I would love someone else to get use out of it instead of it sitting in my wardrobe never to be seen again! The train is absolutely stunning and looks amazing in pictures. As far as I know this dress is still being sold at normal price and hasn’t gone into any sample sales so you will be saving a large amount compared to buying it new. I would recommend going to a bridal shop and trying the dress on to make sure it will fit before purchasing it from me. I don’t offer returns. 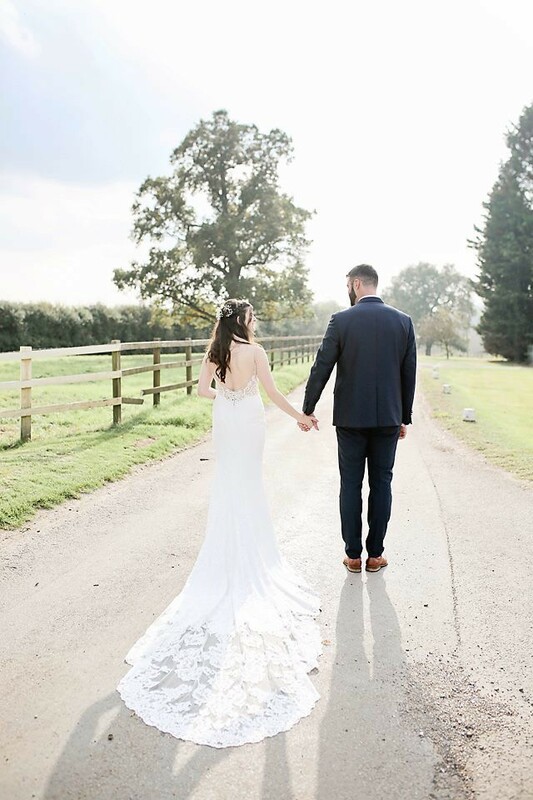 I had alterations on the dress that cost me £195 - I had the straps shortened very slightly, extra cups added (these could easily be removed if needed) and the length taken up a bit at the front of the dress. It would fit someone 5’8 with shoes, any shorter and you’d just need to get it taken up more. I also had a hook sewn into the train so you can hook it round your wrist to hold up the train if you need to, as it’s too heavy to hook onto the dress.